Greens MLA and TAMS Minister Shane Rattenbury has issued a press release slamming the Canberra Liberals approach to public transport. The Canberra Liberals have consistently opposed the Capital Metro light rail project, and have promised to cancel any contracts signed by the ACT Government if they are elected in the 2016 Assembly elections (a move described as economic lunacy by the federal Liberal government). Todays press release attacks the Canberra Liberals complete lack of public transport policy, and their 1960's style focus on roads ahead of sound urban planning. The Canberra Liberals have completely missed the point of providing Canberrans with a comprehensive public transport network and instead want to clog our city with more cars and more roads in a 1960’s view of traffic management, said ACT Greens MLA, Shane Rattenbury. “The whole concept of having a good public transport network is not to make life harder for those who need to use their car – it’s about getting more cars off the road so that those who need to use their cars aren’t faced with increased delays due to congestion,” said Mr Rattenbury. “As the saying goes ‘if you build it they will come’ – the more roads we build, the more cars we will attract and the more congestion we will see on our roads. “This is a lesson that has been learnt in cities all across the world and we see many cities trying to play catch-up to improve their public transport systems to address congestion. “The ACT Greens understand that of course there are always going to be times when people need to use their cars – parents who need to pick up their kids or tradespeople who work across the city. “However, there are many Canberrans who could quite easily ditch their car and hop on a bus or a tram to get to and from their destination. It is these people who we are targeting with a new light rail network and improvements across our bus network. “The point of public transport is not to force people out of their cars; it’s to provide viable and sustainable options for people who don’t need to drive and ease congestion on our roads for those who do need to drive. 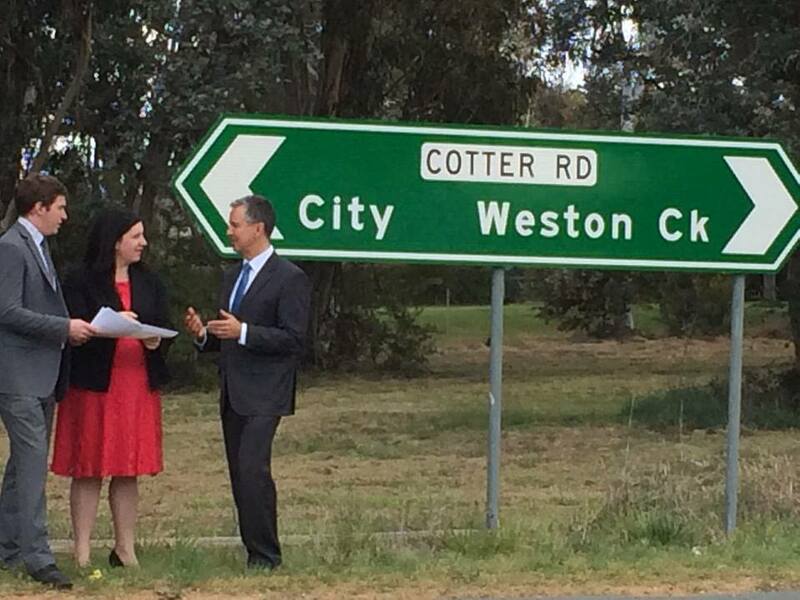 “The last thing we want is for people to be stuck in traffic on Canberra’s roads – that’s not fun for anybody. And under a Liberal government, that’s where Canberrans will be stuck in the future,” said Mr Rattenbury.